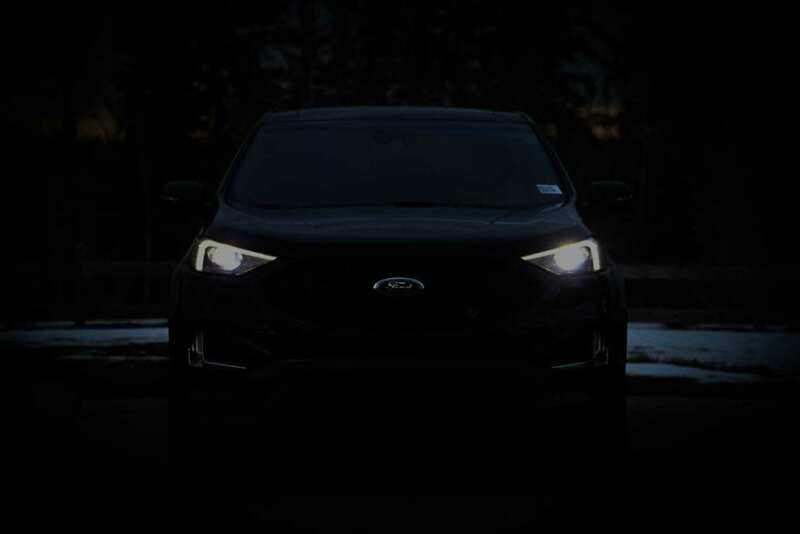 In an effort to do something a bit different—shake up the status quo as it were–Team Ford has enlisted accredited AJAC-journalist Tom Sedens of Wildsau.ca fame to give us an unbiased and (in his words) exhaustive look at some of Team Ford’s favourite vehicles. 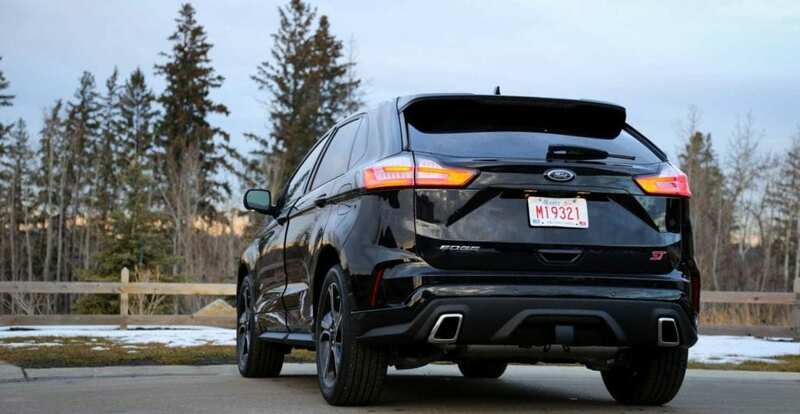 The following is the result of Tom taking a Ford Performance’s Ford Edge ST out for a week and doing the same type of driving that each and every Alberta resident reading this blog takes part in. Working his way through the same snow covered streets, dodging the same famous pot-holes, and listening to the same maddening Oilers games on 630 CHED. 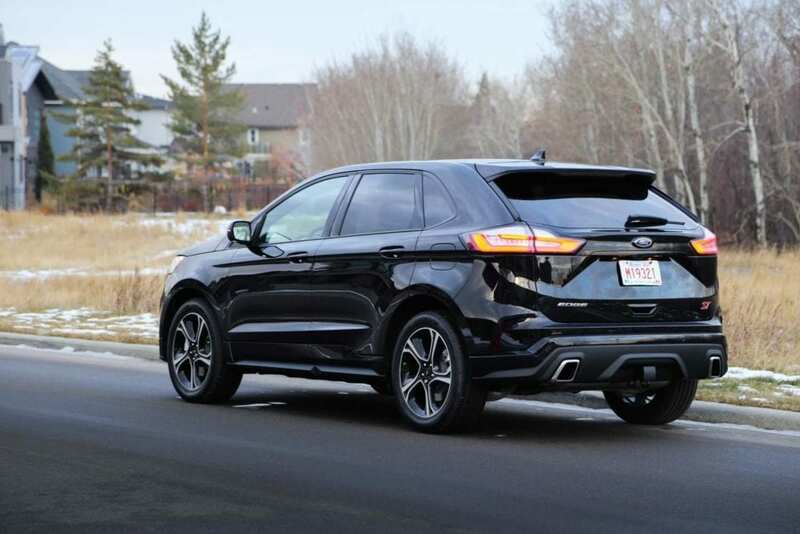 If you’re in the market for a high-performance SUV like the Ford Edge ST, this is one blog post you don’t want to miss. The First SUV from Ford’s Performance Team has Arrived! 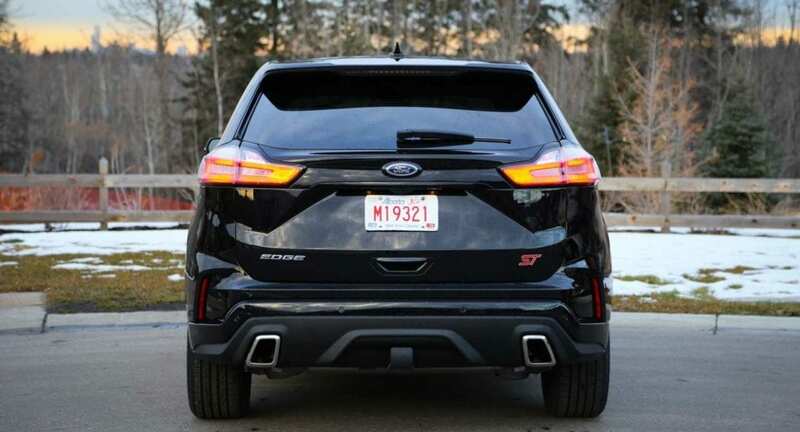 We first met the Ford Edge as a 2007 model and it has done well for Ford. That’s because it is a bit of a no-nonsense SUV/crossover that just makes a lot of sense to a lot of people. 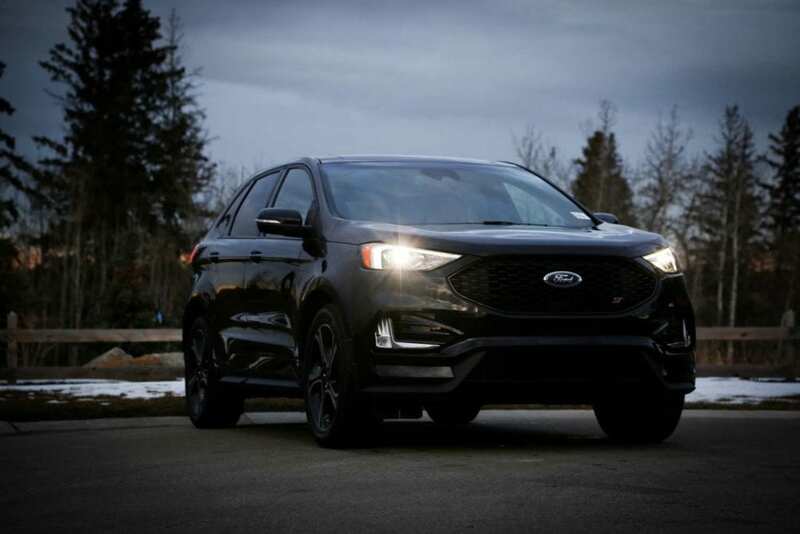 An all-new Edge came to market in 2015 and for 2019, it got a face-lift. 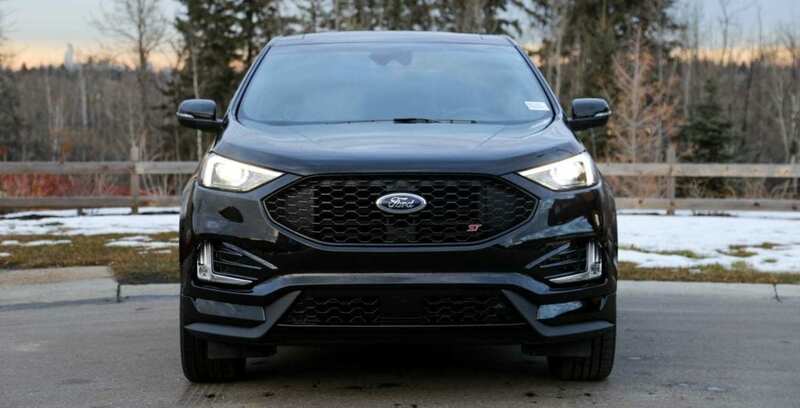 The 2019 Edge is instantly recognizable. As it always has been, it remains a sensible, clean and smart design. Designers add a bit of flair with some sculpting and creasing on the sides, but nothing is off the wall here and it will age nicely. I loved the stealthy Agate Black paint on my Edge ST. It looked sinister and stunning. The ST gets a few visual goodies to set it apart. 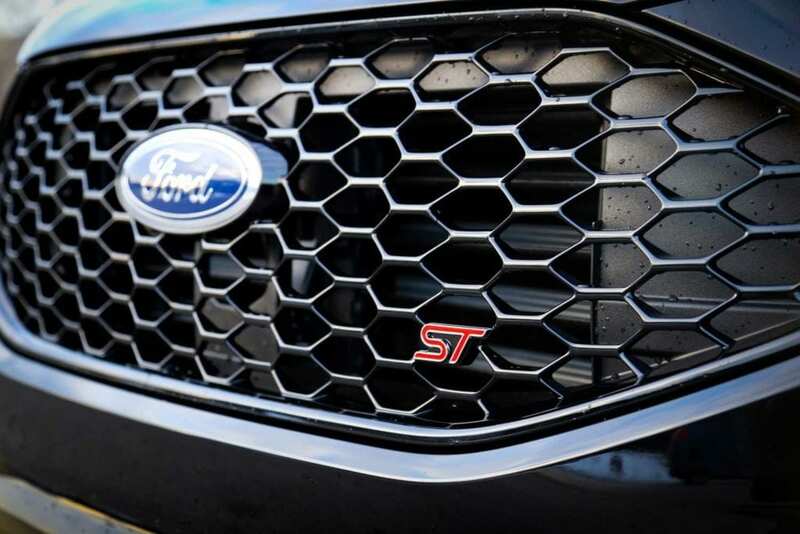 The high-gloss grille is a beauty, and there are prominent ST badges front and back. The integrated trapezoidal exhaust outlets look like they mean business, as do the aggressive air intakes on the lower front corners. When it comes to lighting, it’s all LEDs all day long. 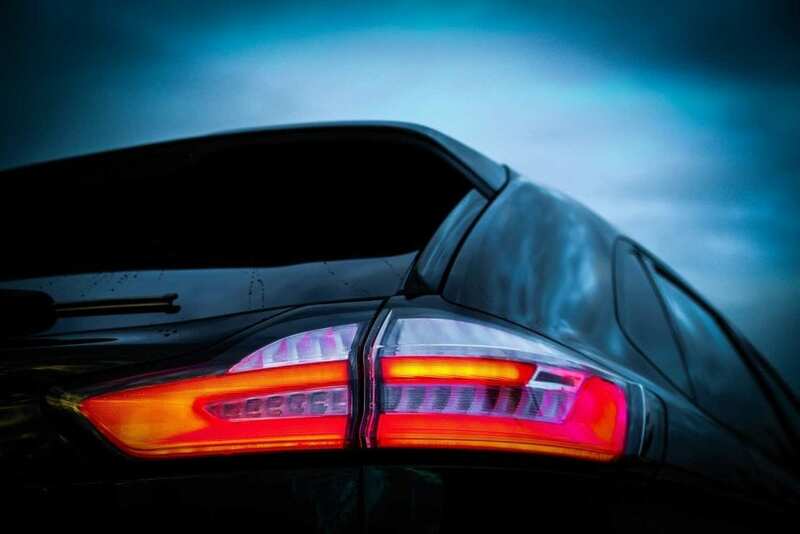 Headlights, signal lights, foglights, daytime running lights and tail lights – they’re all LED and they all look awesome. 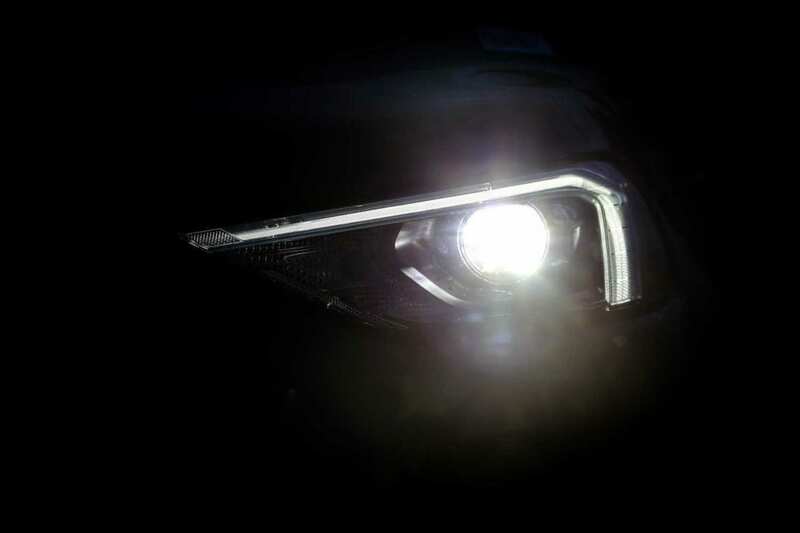 More importantly, the headlights are bright and effective. The 20-inch rims, wearing fat 245/50-sized rubber, are beauties. 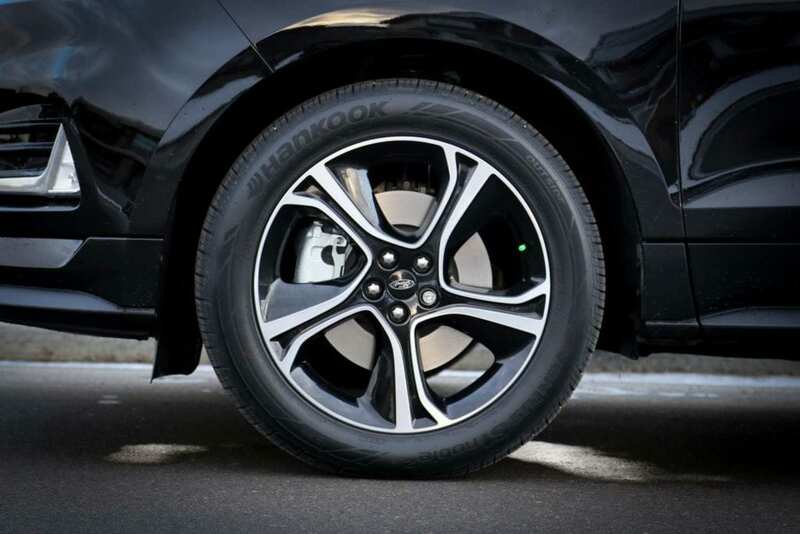 But the optional black-painted 21-inch rims are even better – definitely check them out if you’re shopping for an Edge ST.
Ford says the Edge’s interior is “sleek and sporty”. I’m not sure I completely agree with that choice of words, but let’s say it’s clean and efficient. Materials are decent and there are plenty of soft-touch plastics, although the cabin is very dark. I enjoyed the contrasting stitching on the door panels, the ambient lighting and the carbon fiber-look dash trim, but I’d like some more bright-work or trim to lighten things up a bit. Ergonomics are good, and everything around the cabin works well and makes sense. The ST’s heated (and power-adjustable) steering wheel is fantastic–it’s grippy and has perforated segments. Likewise the leather and suede trimmed seats. 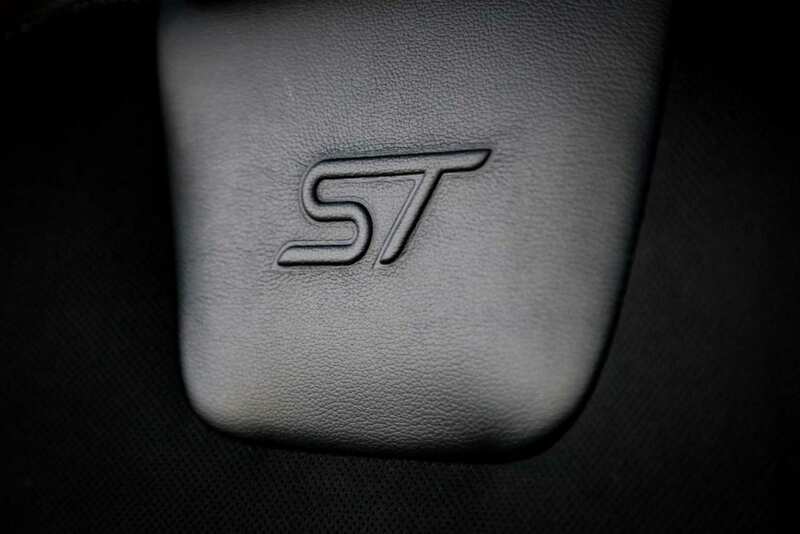 Honestly, even if you’re not completely sold on the performance-oriented mission of the ST over the other trims, the seats alone might be worth the upgrade price. They are deep, beautifully bolstered heated buckets that just made my day every time I sat in them. They also look great thanks to the ST-embossed panel and the contrasting stitching. 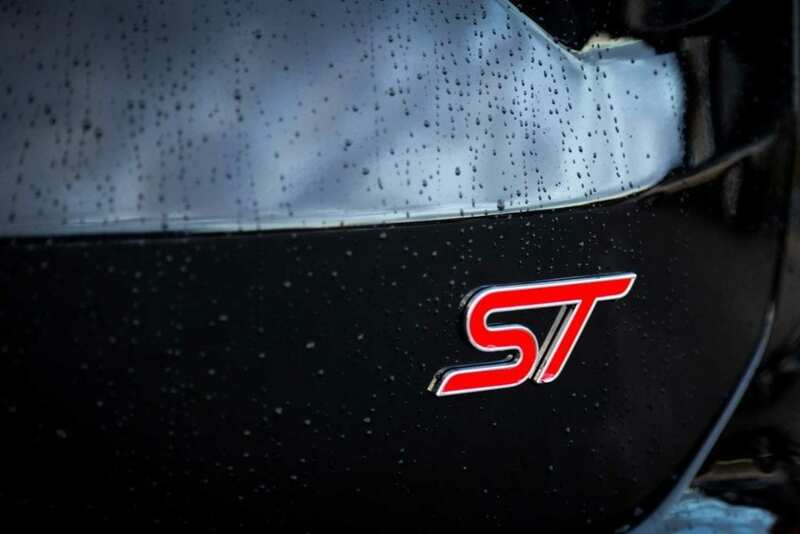 Other than the seats, there is little to set the Edge ST apart from its more pedestrian stablemates–you get ST-specific door sills, aluminum pedals and ST-specific aluminum instrument panel trim. The gauge cluster features a large central speedometer flanked by two highly-configurable screens. Ford’s SYNC 3 touchscreen system is centered in the dash, and it’s a good one. 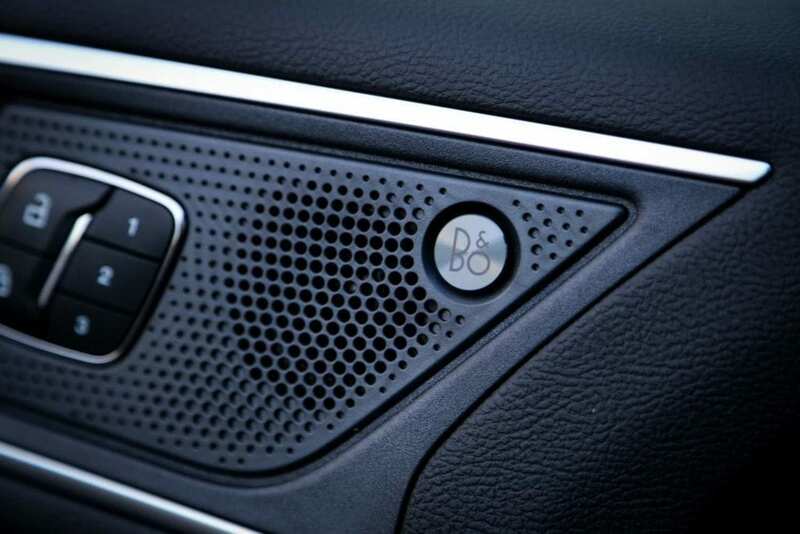 It’s clean, well thought out and offers a simple, straightforward user interface to handle your phone, navigation, the premium B&O Play sound system (it’s a doozy!) and your vehicle settings.  For technophiles, FordPass Connect allows you to activate a 4G wifi hotspot in the Edge–it can handle up to 10 devices and it works up to 50 feet away from the vehicle. You’ll never have to talk to your kids again, even while camping! The Edge is the recipient of Ford’s new Co-Pilot 360 safety package, which bundles in five key technologies as standard equipment. You get pre-collision assist with automatic emergency braking, blind-spot monitoring with cross-traffic alert, a lane-keeping system, a back-up camera with rear parking sensors and automatic high beams. 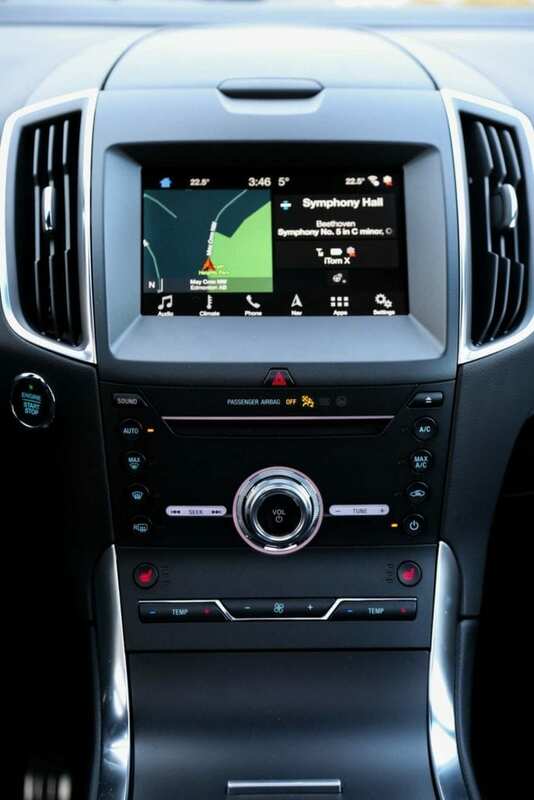 My review Edge added evasive steering assist and adaptive cruise with lane centering. 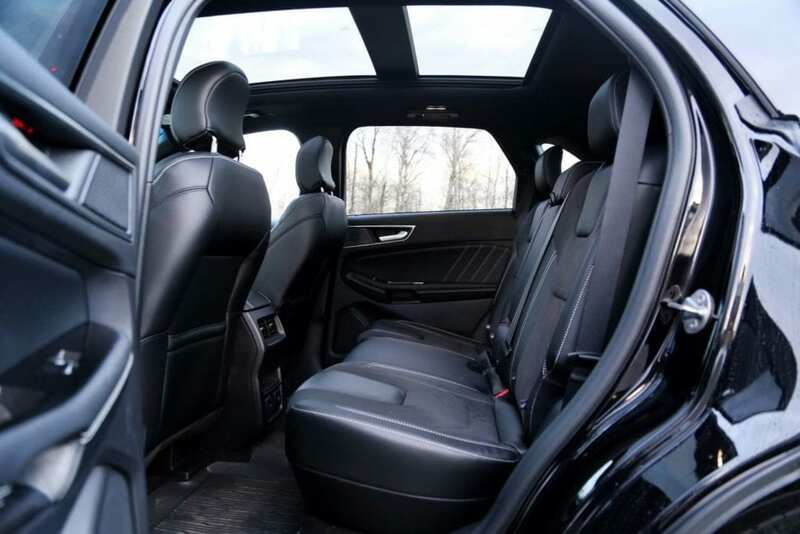 The rear seats offer plenty of space–I’m 5’10” and sitting behind my own driving position, I had plenty of leg, foot and head room. The seats are very comfortable and can be reclined. Rear passengers get a 12V and a 110V household plug for charging devices. The middle seatback folds down to become an armrest with a couple of cupholders. The panoramic roof overhead lets in plenty of light and makes the rear seating feel even more spacious. The Edge offers a number of places to put your stuff, which I appreciated. The most useful is a large, deep bin under a sliding lid at the front of the console. Inside is a wireless charging mat for your smartphone (thank you Ford!) as well as two USB plugs. I liked the slot on the console that I slip my smartphone into. You’ll find a deep space under the armrest lid (and a 12V plug) and there’s a somewhat unusually placed storage bin under a pop-up lid on top of the dash. 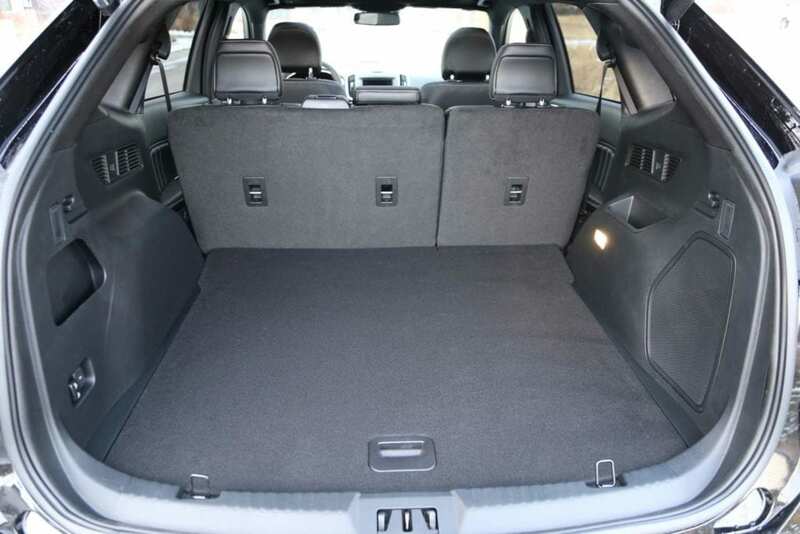 Pop the power liftgate and you will find a very generous 1111L cargo space. The load floor is nice and high. If you need more space, the rear seats split 60/40 – fold them down using the convenient power buttons in the trunk – and you get a massive 2078L trunk. 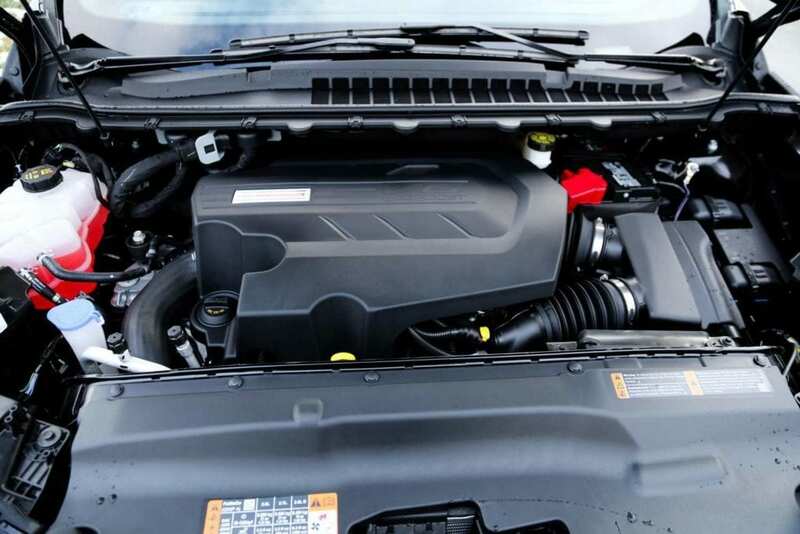 Ford’s 2.7L twin-turbo V6 EcoBoost engine lurks under the hood, waiting to churn out 335HP at 5,550 RPM and a monstrous 380 lb.ft of torque at 3,250 RPM. The engine is mated to an all-new 8-speed automatic and power is sent to all four corners via an all-wheel drive system. These kind of numbers don’t come cheaply–Ford rates this performance-oriented Edge at 12.6/9.2 L/100 km (city/hwy). You either get Eco or Boost, but not both–a heavier foot with this engine will make for a sobering fuel bill. We averaged 12.3 L/100 km during our week with the Edge ST–it was mostly commuting downtown, a few freeway sprints and one highway run and we made no effort to drive conservatively. While that’s not great fuel economy, it’s not horrifying either considering the power on tap and the size of vehicle involved. There is more than enough power, obviously, and it always feels like it’s right there, simmering under the surface, just waiting for you to call on it. In almost every driving situation, the Edge ST is an easy-to-drive, docile crossover that can transform into a barnstormer with a simple stab of the gas pedal. Although the numbers suggest otherwise, the one exception is putting the hammer down off the line–this scenario seemed to start with a slight lag, but after that, the ST slingshots forward with a surge of power that gets delivered in a nice, linear fashion all the way up to red-line. I suspect Ford programmed the throttle response and transmission this way to avoid neck-snapping take-offs. The real reward is when you access the mid-range power. Want to pass someone on the highway? It’s not even a consideration. Step on it, and the ST simply launches ahead unhinged until you let off the gas. The transmission is smooth, but reacts a bit slower than I’d like to manual shifts using the paddle-shifters. The suspension set-up is very impressive. Though firm and clearly tuned for sport, it still provides a comfortable ride. The handling however is something else. The Edge ST is a tall crossover, yet it stays remarkably flat around corners. There’s a bit of pitching during heavy braking, but the overall body control is outstanding for a vehicle of this size and heft and it feels almost track-ready. That’s saying a lot for a vehicle in this category. 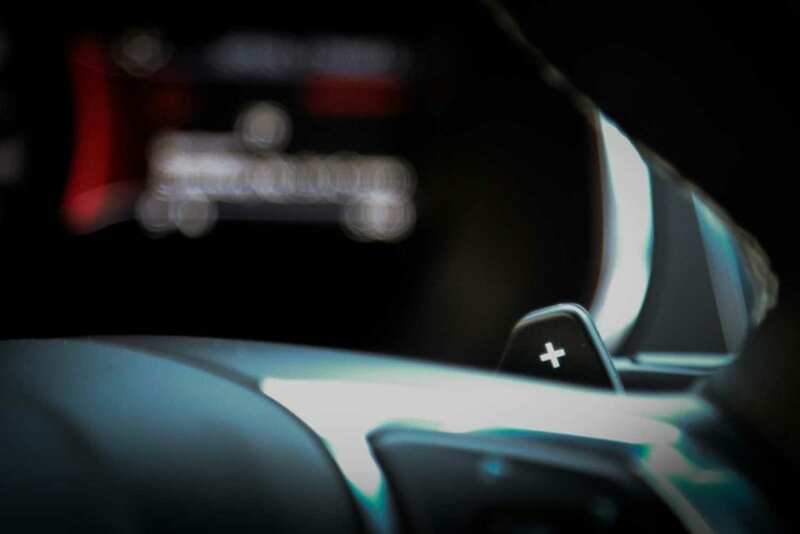 Sport mode definitely transforms the Edge ST. Throttle response is snappier and the transmission programming gets significantly more aggressive, holding gears longer and shifting more quickly – all of this makes for some jaw-dropping forward momentum when you step on the go pedal. 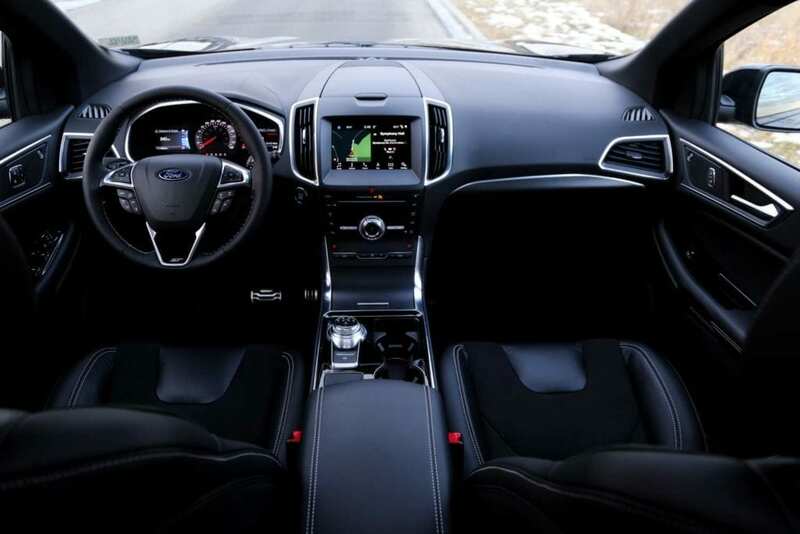 You’ll also hear more of the engine growl – Ford uses what it calls enhanced active noise control to pipe engine sound into the cabin. Keep in mind this is electronically augmented and basically artificial sound, but it does sound cool. The all-wheel drive system was highly effective, providing plenty of grip in fresh snow and on greasy ice – even with the performance-oriented all-season tires. I’d highly recommend winter tires obviously, but the system did well with the rubber on the vehicle. Of note, the rear wheels can be completely disconnected from the driveline during normal driving conditions, allowing for a much more efficient front-wheel drive vehicle – yet it immediately sends torque to the rear when it senses the need. The braking is powerful and easy to modulate, and visibility out of the Edge is very good. The Edge ST has auto start/stop technology, which isn’t that unusual these days. But this is the smoothest system I’ve experienced to date. It shuts off imperceptibly, and fires up nearly the same – you need to be concentrating to hear anything and you’ll struggle to feel any kind of vibration when it starts up every time. Very well done! WAF (Wife Approval Factor) was very high. She liked the exterior styling and really enjoyed driving the ST, saying it felt like a high-end vehicle. The Edge is, first and foremost, an SUV/crossover that brings a lot of function and utility to the table. It comes with the latest tech, a refined driving experience and plenty of space. 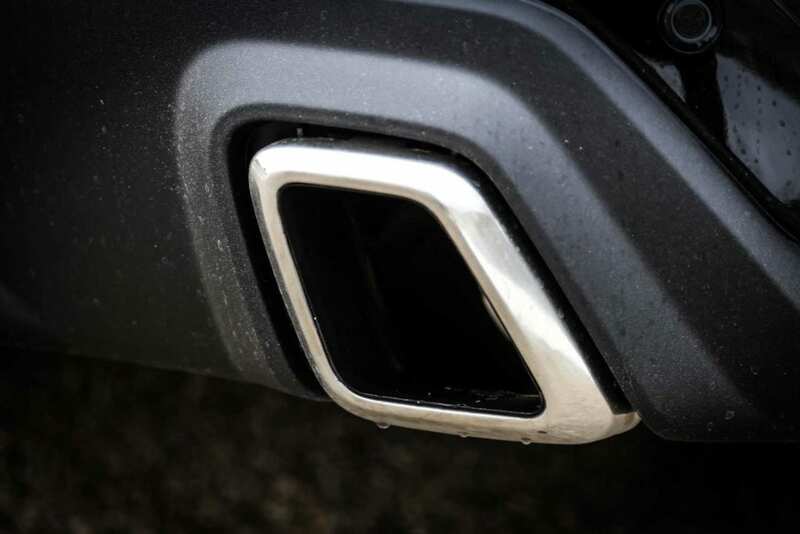 And it’s a fine vehicle in any of its trim levels, particularly the posh, loaded-up Titanium, which is priced lower than the ST and comes with more technology and more luxurious touches. But if the smaller EcoBoost engine isn’t enough for you, then consider this ST trim. It’s not cheap, to be sure, but the performance tweaks are much more than skin-deep. The power, the astounding handling capabilities, the spicy aesthetic touches–they all add up to make for something special on the road. And did I mention how much I love those seats?